Come the Fourth of July, images of red, white and blue desserts are dancing through each American's head. 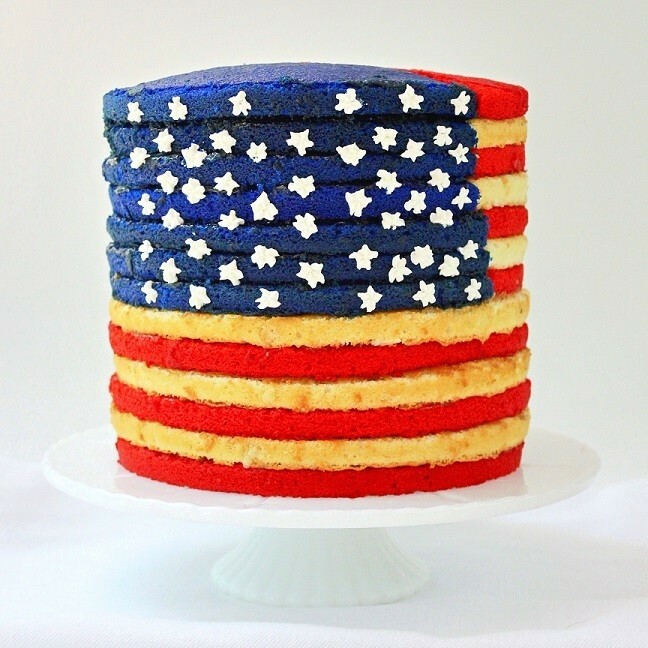 Jell-O and cheesecake and cookies all get made over with a patriotic color scheme, but the most coveted of Independence Day dessert is the flag cake -- no question. The easiest way to make a flag cake is to bake a sheet cake and make a flag pattern out of summer berries. But this land was not built with ease. 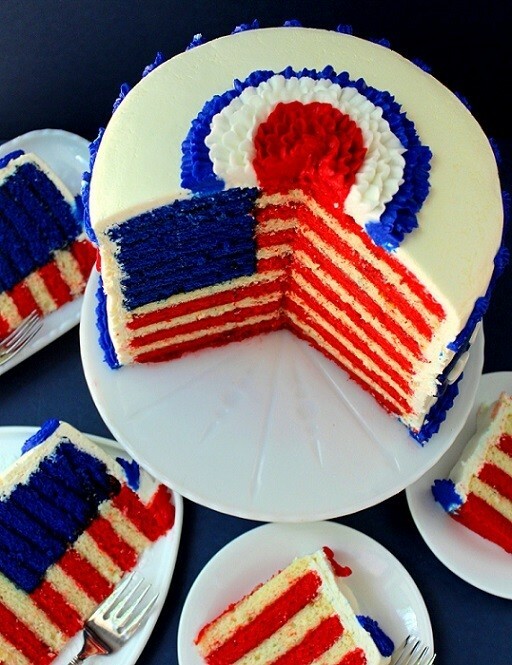 No, it was made with guts and glory, and that's the kind of flag cake we have for you right here. While the cake stands 13 layers tall, Sugary Winzy actually baked 20 layers to create this beauty. Seven layers for blue, seven for red and six for white. She then covered each in jam to seal the layers before cutting and assembling. It takes a little bit of brain power to figure out how to put this cake together so that it slices just right, but Sugary Winzy has got you covered with an amazing chart. 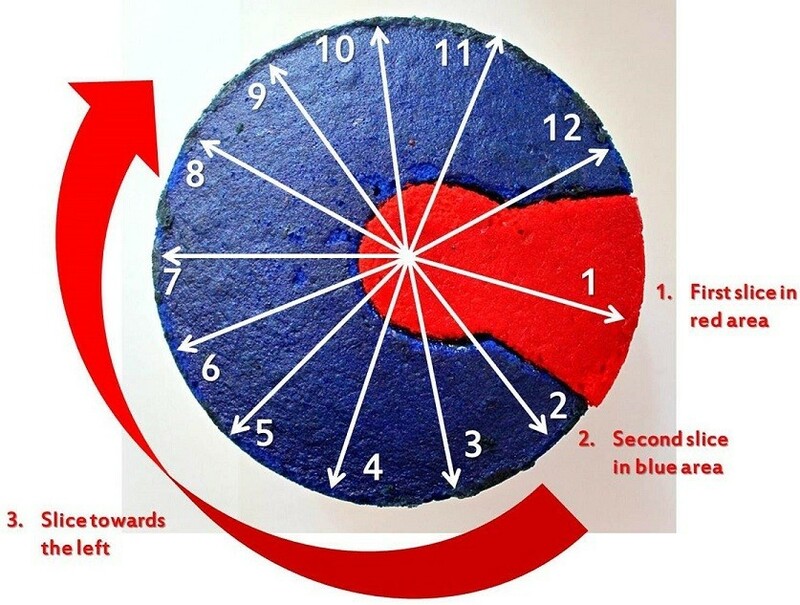 Head on over to Sugary Winzy to get full instructions -- and more awesome photos -- on how to make this ultimate flag cake. It's the boldest way to truly celebrate this Fourth of July.